Really solid food. Very high quality and decent value. Wish it came faster took 90 minutes or so. So my salmon was a little colder than I wanted. This is one of the best japanese restaurants ever. Offers so much more than sushi. Awesome place for a family. Very kid friendly. The restaurant was great. Grub hub reported that the food was delivered when in actuality it was just leaving the restaurant. I love Taiko! Their soba noodle bowls are the best. The only issue I have with them is their price. I would eat this once a week if they weren't so expensive! The food was delivered 30 min ahead of schedule and the sushi was very fresh! I plan to order from here again. Excellent food, simple and straight-forward but absolutely delicious. My go-to restaurant in LA. I love this place and love that they deliver! 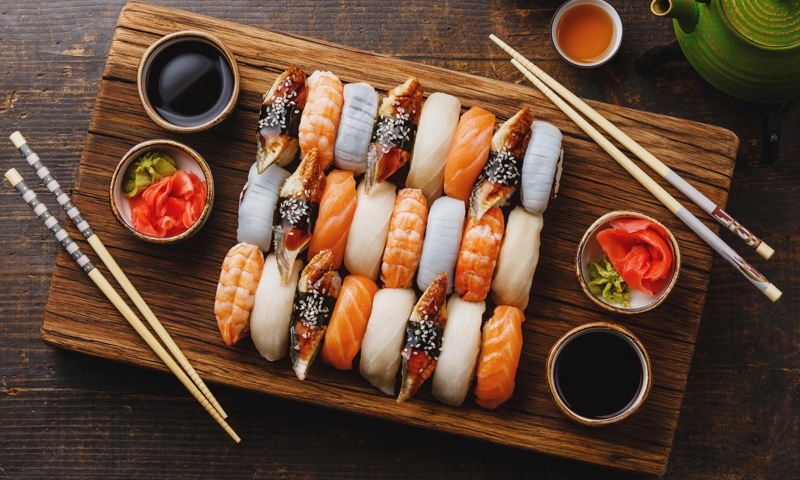 Located in the heart of the fashionable Brentwood Gardens, Taiko attracts a fast paced business crowed for lunch and an assortment of family and casual diners for dinner. In a simple, California dining atmosphere, customers often form a line out the door while waiting to enjoy such traditional noodle dish favorites as Japanese soba and udon, along with a wide range of seafood and sushi. Whether you're craving a quick bite or looking to treat yourself to a delicious meal, you can now order your Taiko favorites for takeout or delivery.